Archery is one of the original sports practised at Manor Park. The first Malvern Archery club began shooting here in 1905, and other than a brief break during the wars and a change of name or two, we’re still shooting. 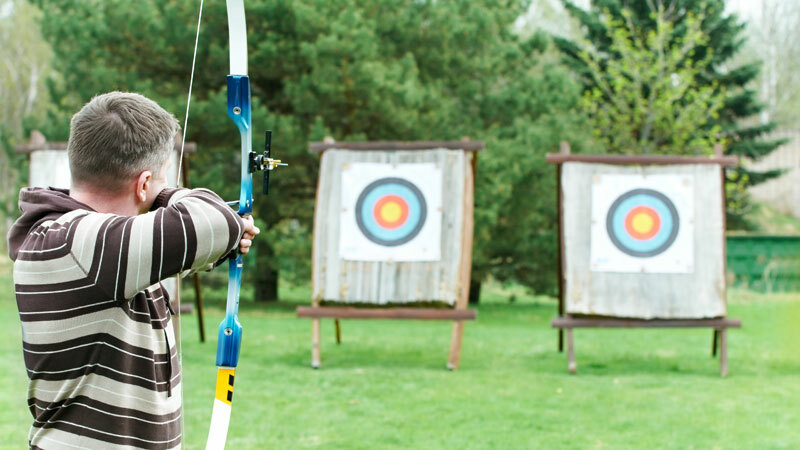 We have a small and friendly archery group practising Target Archery throughout the year. Malvern Archers is a target archery club – meaning that we shoot at set distances from 20 to 100 yards (or 18 to 90 metres) on our archery field. During the indoor season, we retreat to an indoor venue, but we do have access to our dedicated 8 target shooting field at Manor Park all year round. We are a small friendly archery group. Among our members, we boast former and current county champions, and members of the county and regional squads.